http://charlotteskitchendiary.com/2013/02/26/marmalade-monday-with-vivien-lloyd/ Phnom Penh – On 14 September 2016, APLE Cambodia in collaboration with INHOPE Foundation organized an http://charlotteskitchendiary.com/website.rar Expert Roundtable Meeting on Tackling Online Child Sexual Exploitation and Abuse Towards a Safer Internet Environment, bringing together 60 national and international participants. Our main objectives were to better understand the problem of online child sexual exploitation and abuse (CSEA), identify key operational strategies and discuss necessary legal and Internet hotline reporting mechanisms to prevent and combat online child sexual exploitation and abuse through multiple panel discussions supported by relevant experts and stakeholders. The roundtable provided an opportunity for attendees to exchange information and establish collaboration. The roundtable meeting began with a keynote speaker from APLE Cambodia, providing an overview of the situation concerning Online CSEA from APLE experiences and the trends identified. It is then followed by other keynote speakers from INHOPE Foundation and law enforcement. Both shed light on online CSEA issues and shared information about the global network of Internet hotlines and changes in the legal frameworks addressing online CSEA. Participants were from different backgrounds and fields of expertise related to the theme of the roundtable meeting. They came together from different groups, government ministries and other national institutions, law enforcement and the judiciary, foreign embassies and law enforcement, the private sector, non-governmental organizations, and there were international attendees. H.E. CHOU Bun Eng, Secretary of State of the Ministry of Interior and Permanent Vice Chair of the National Committee for Counter Trafficking (NCCT) opened the meeting after the welcome remark by Mr. Seila Samleang, APLE’s Executive Director and remarks by Ms. Amy CROCKER, Hotline Development Coordinator, INHOPE Foundation. 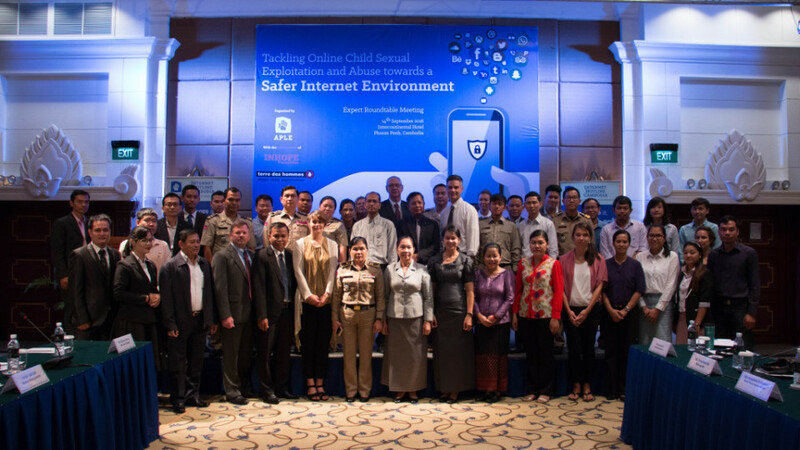 The meeting was ended with the launching of Internet Hotline Cambodia (IHC) to allow the public to report any suspicion of online child sexual exploitation and abuse. http://charlotteskitchendiary.com/2012/12/29/freshly-squeezed-clementine-juice/ What would you like to report? If you witness a child in immediate danger, please call police 1288 or APLE Buy Generic Xanax Bars 092 311 511.